I was out and about in Lancaster and was browsing in Building Character– the coolest place where you can find vintage, recycled and handmade items. I of course gravitated right to the vintage clothes and immediately found this calling my name! Styling it was simple for me- basic black tee, skinny jeans and my cute (but oh so uncomfortable) flats! Were they the most practical shoes to wear on a snowy day? Definitely not! But did they help bring together the whole look? Of course! 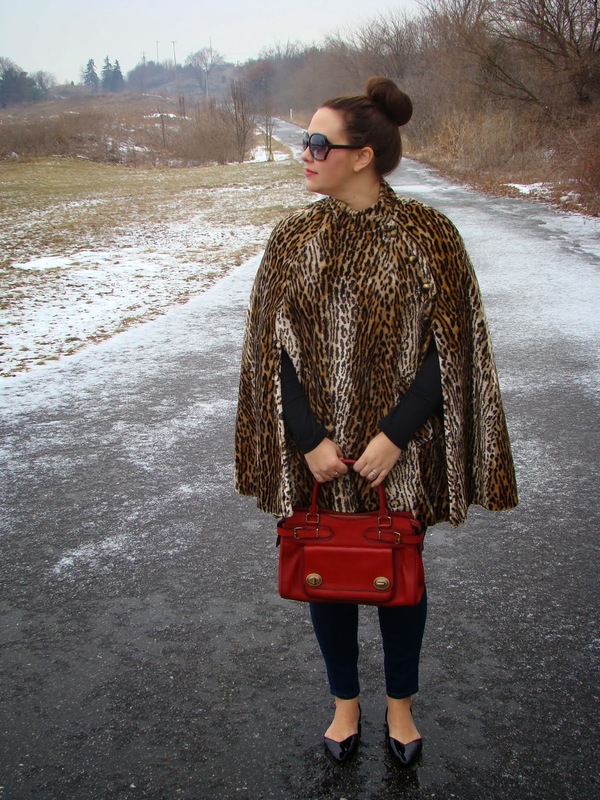 Besides the fact that this cape is leopard, one of my most favorite neutrals, I love the fact that it is vintage. I wish I knew the story that went along with it- who owned it before me? What did they wear it for? Where did they live? Why did they get rid of it? Hopefully I am not the only weird one that thinks of these things?!?! 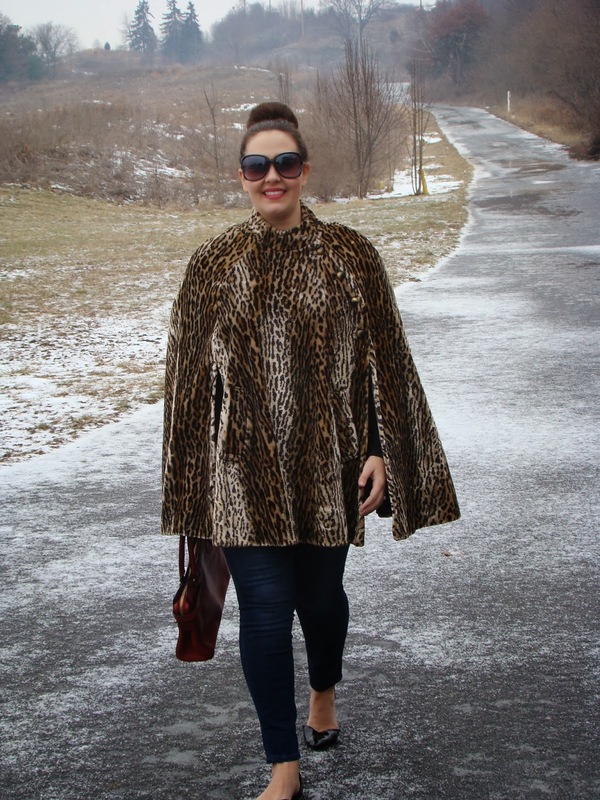 Now onto our What She Wears linkup from last week! We are thrilled to see how much it grows and grows each week! I really love seeing all of the looks that everyone puts together! February 4th’s theme is going to be FAVORITE WINTER TREND! Totally basic, and leaves it super open for you to share with us whatever your fave winter trend is, whether it be boots, scarves, a beanie- whatever! Like every month, it was hard to choose! 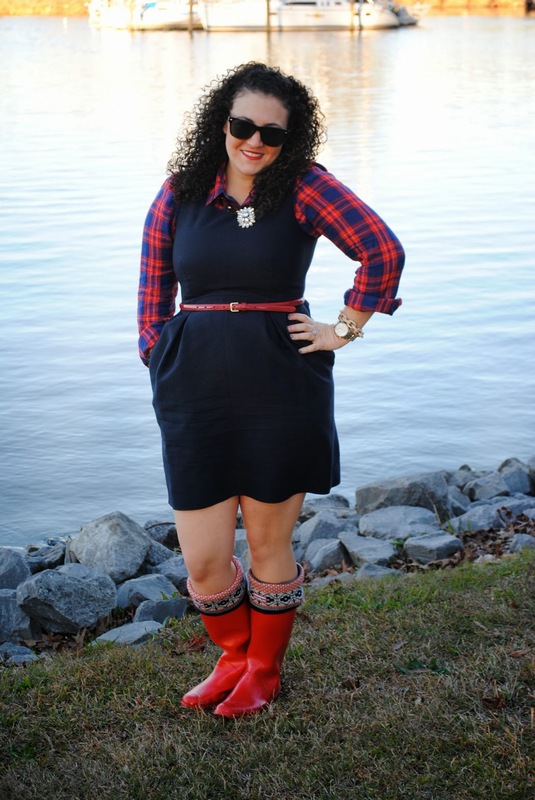 I loved Nikki from The Fashionable Wife– can’t get enough of her boots! Love how she styled them, and the red is the perfect pop of color! Don’t forget to enter my giveaway to win a Nordstrom gift card and some other amazing prizes! Love that cape! I love leopard, it's my favorite color. 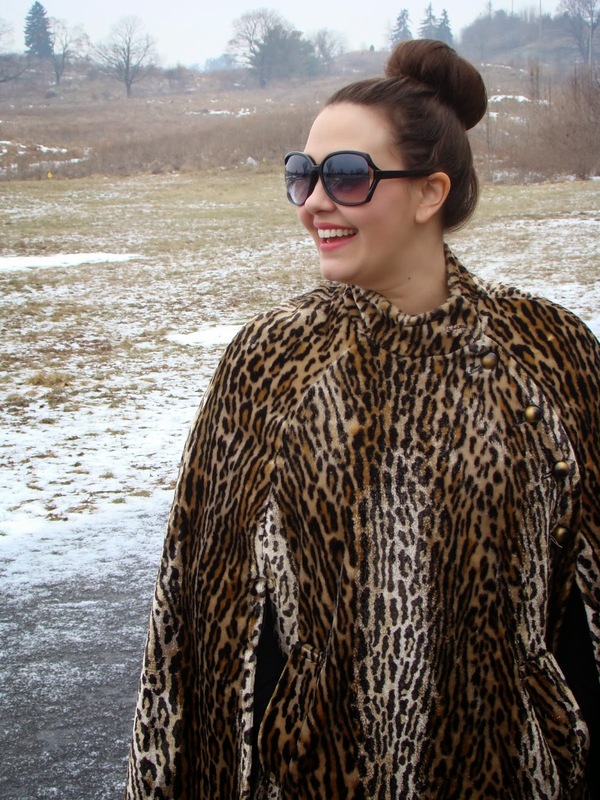 I have a leopard fur coat I got from express last year. Love it! What a fabulous find! Vintage browsing is my most favorite thing ever!